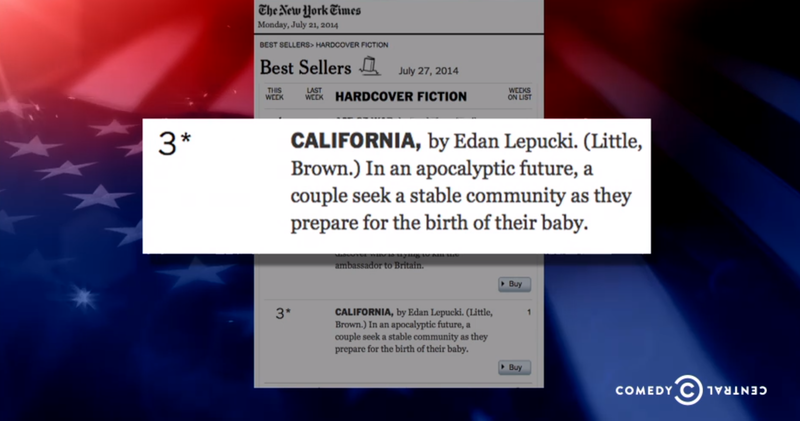 Sure, you could credit the huge pre-order sales of Edan Lepucki’s California to the “Colbert bump” that helped launch it from first-novel obscurity onto the New York Times bestseller list, but don’t dismiss all the attention as empty hype. This book is worth every bit of the buzz. Now that it’s out, we’re seeing customers at the new releases table recommending it to each other — “Have you read THIS yet?” — and those word-of-mouth sales aren’t likely to stop anytime soon. 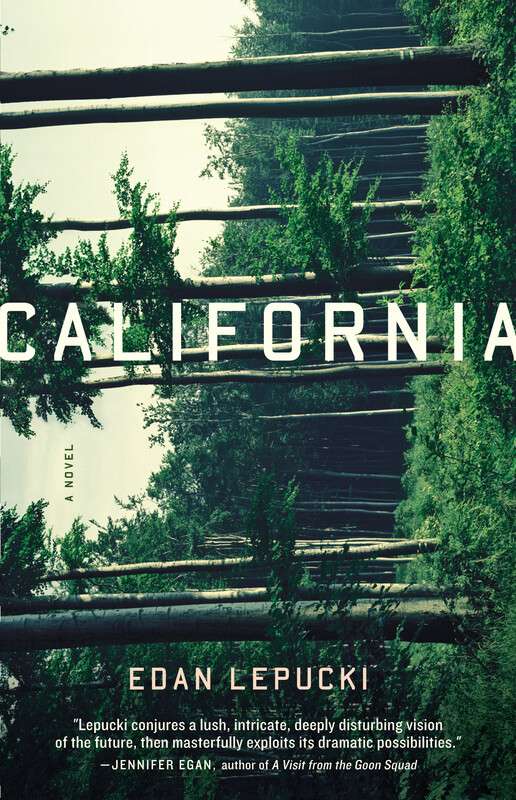 California is dark literary fiction with cross-genre appeal. This end-of-the-world tale sticks with you but doesn’t give you nightmares quite like, say, Cormac McCarthy’s The Road did, in part because Lepucki keeps her focus on the relationship at the center of the story: the marriage of 20-somethings Cal and Frida. The pair have fled the crumbled remains of Los Angeles to live in the wilderness after the world as we know it has begun to die due to a combination of not-unimaginable disasters — catastrophic weather, earthquakes, an oil crisis, disease pandemics, and economic collapse. Lepucki zooms in on the couple’s tender moments and their petty arguments, proving that nothing — not even a slowly impending apocalypse — precludes the time-honored tradition of marital bickering. So, anyone who’s from Nashville, loves Nashville, or is the owner of a Nashville-based restaurant or other business Lepucki should know about, this is the chance to help plan her itinerary! By the way, these posters that you see all over town? 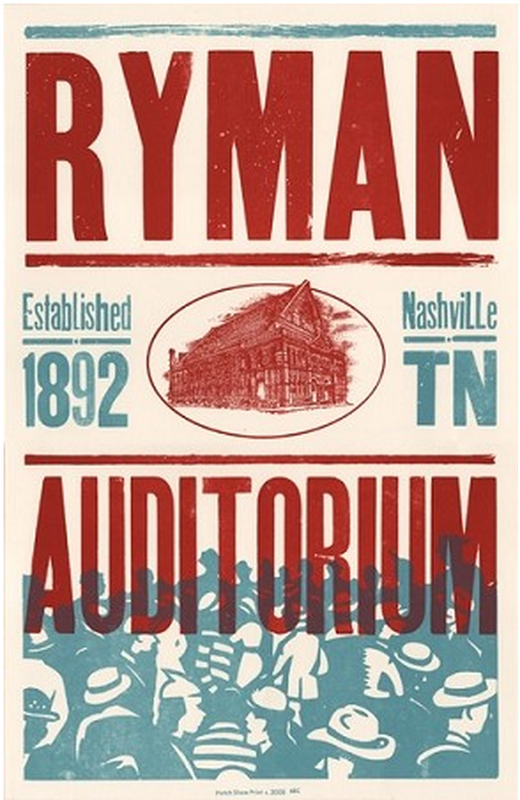 Those are made by letterpress legend, Hatch Show Print — you might want to check them out, too. Then, of course, on Tuesday the 29th, it’ll be time to head to Parnassus at 6:30 for the discussion and signing of California. We could name about 100 more of our favorite places, but why don’t we turn it over to our readers? Leave a comment below (short, sweet, and on topic, please) with suggestions for what an author should do on her first trip here! anything in Franklin TN…all good. music, food quaint antique shops. etc. Patterson House has amazing cocktails, and you’ll feel like you’re in some kind of 1920s speakeasy. Super glam. @ParnassusBooks1 Paradise Park bar! (But maybe that's just me? 😜) Provence bakery! Bookman/Bookwoman! Tavern for brunch! Tennessee Brew Wks! Barista Parlor…some of THE best coffee you’ll ever have. Mad Tacos for killer tacos. Jeni’s for ice cream. 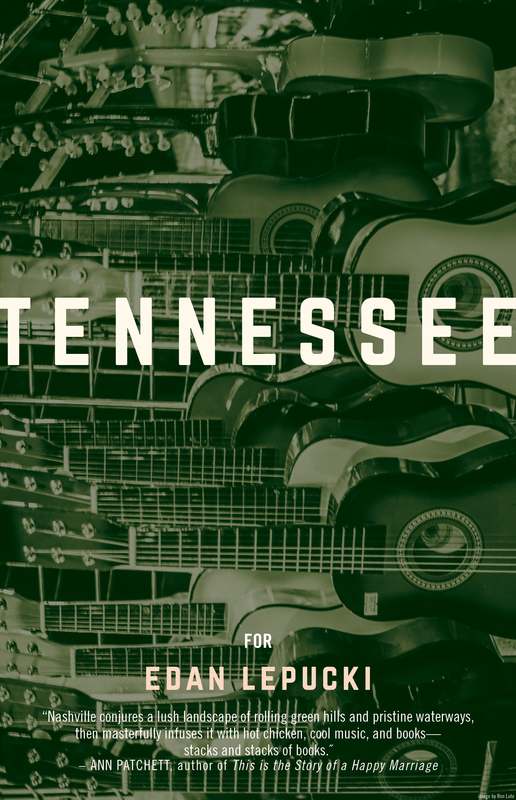 Heck…East Nashville in General is a must-do! Oops…meant Mas Tacos…though it is Mad good! A couple of other food places to check out in downtown Nashville are Jack’s BBQ and Puckett’s! Oh! And, in the spirit of Frida, Edan should grab a bite at Bread & Company on her way to Parnassus! Sinema upstairs for a cocktail, BLVD for a burger or Martin’s for BBQ and people watching on Belmont blvd, or the Frist for art exhibits. Rolf & Daughters is a “must do” restaurant. OMG (old made good) & Hey Rooster General Store are great vintage shops in east Nashville. The 12 south area is nice to walk around with Sevier park, great restaurants, & Las paletas on a hot day. Enjoy NASHVILLE!! After visiting the Parthenon, have lunch at Rotiers! Go to Franklin, TN and explore the town for an afternoon! Come back to Nashville at night and dine al fresco at Watermark!!! I think the Country Music Hall of Fame is badass and beautiful. Germantown is a must. It’s a host to fabulous dining and a truly urban live, work, play environment. Checkout Rolf & Daughters, City House, Silo and 312 Pizza for lunch/dinner. Enjoy breakfast at Flour Sugar Eggs or Red Bicycle. Walk over to the Farmers Market and enjoy a sandwich from Sloco. As you’re walking around the neighborhood, be sure to stop in Cupcake Collection for the most fabulous cupcake that you’ll ever put in your mouth!!! Enjoy the mix of new and old architecture mixed with an industrial vibe! @ParnassusBooks1 @EdanL @littlebrown Yay! For a quick lunch, @MitchellDeli's Turkey Bacon Avocado sandwich is the dream. Cosign Pinewood! @ParnassusBooks1 @EdanL @littlebrown Also, a stop at @Grimeys & ending the day w/walk on Pedestrian Bridge & coffee soda from @CREMACREMA. Skip Martin’s and go to B&C or Peg Leg for BBQ. Hattie B’s for Hot Chicken. Best kept secret burger is the local burger at Fido. Burger Republic is also a fine choice. Desano’s Pizza is also worth a mention. For typical southern fare, I get lunch at Arnold’s. Check out the showings at Belcourt Theatre followed by a meal or snack at Fido’s, both conveniently located in Hillsboro Village. Oh you know how much 12th & Broad loves to give Nashville Itineraries! Edan, go ahead and get our daily newsletter, which tells you what events and places you should check out EVERY day. If you sign up now, you may be able to craft your own list of places to go and, of course, the events will be relevant when you’re actually here. Be sure to have a scoop of ice cream at Jeni’s in 12South…you could entertain yourself all day long in that neighborhood. We think you should check out the new arts district, Wedgewood-Houston. Ask a local to take you there to see all the new art galleries springing up there. Of course, 5th Avenue of the Arts downtown, is a must-see too. We suggest you grab lunch on Belmont Blvd. at one of the cafes or coffee shop there and stop in to look at some great local vintage. Get someone to help you navigate East Nashville. You must check out Five Points. While there, peek into Art & Invention Gallery and visit East Side Story and the other vintage shops next to it. We suggest you eat nearby on McFerrin (Mas Tacos, The Pharmacy, or Holland House) afterwards. Oh, and Marathon Village is a fun spot. You muuuust have a gourmet marshmallow at Bang Candy Company. Take a peek into Otis James’ shop, too. For a classic, Nashville, meat-n-three, head to Arnold’s off of 8th Avenue (near Music City Center). Be sure to sample some of our local brews, such as Yazoo, Jackalope or Turtle Anarchy. Don’t miss Cheekwood Mansion and Botanical Gardens. There is an Andy Warhol exhibit in the mansion….his “flower period.” For absolute hilarity, take the NashTrash tour. And come to my garden to eat homegrown tomatoes, squash, eggplant, turnip greens, blackberries, God knows what else…. An absolute must for breakfast or brunch (on the weekend) is Marche in East Nashville!